French Media conglomerate Vivendi has been attempting a very public hostile takeover of Ubisoft for the better part of 2016. A recent announcement shows Vivendi is very close to achieving their goal, owning nearly a quarter of Ubisoft stock. Ubisoft has spent the whole year fighting off the takeover, buying mobile game company Ketchapp, and purchasing 137.5 million dollars of its own stock from a French investment bank. Vivendi, not daunted by Ubisoft’s best efforts to remain independent, announced it now had ownership of 24.059 percent of Ubisoft stock. This is up from the last public release when Vivendi owned 22.5 percent of Ubisoft stock. In a company, whoever owns majority stock has the most voting power in company board decisions. As of this time, Vivendi has 21.96 percent voting power in Ubisoft. Once Vivendi owns the majority of stock in Ubisoft, and majority voting power, they will have the voting power to merge Vivendi and Ubisoft. 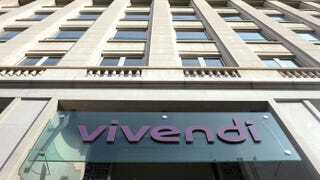 Once this happens, Vivendi will have the ability to fire Ubisoft’s chairman, CEO, and founder, Yves Guillemot. The news initially spread when industry analyst Daniel Ahmad announced the investors release on twitter. Vivendi has been inching closer and closer to a majority stock ownership throughout the year, owning around 20% in June. Ubisoft has had support from all sides against Vivendi, having gained the support of investors from Canada. In an E3 2016 conference, Guillemot told investors Ubisoft could grow without Vivendi. Those claims may be true, as Ubisoft’s fiscal first-quarter sales had increased 44 percent to 139.1 million euros, or 153 million dollars. This money, mostly as a result of the 330 million dollars in earnings from this year’s The Division, has and will continue to be necessary in fighting off Vivendi’s buying up of Ubisoft stock.